Beagle Freedom Project (BFP) announces that its groundbreaking smartphone app, Cruelty Cutter, is now free to download for iPhone and Android users. The unique app facilitates boycott campaigns of cosmetic, health and beauty, and household companies that still choose to test their products on animals. 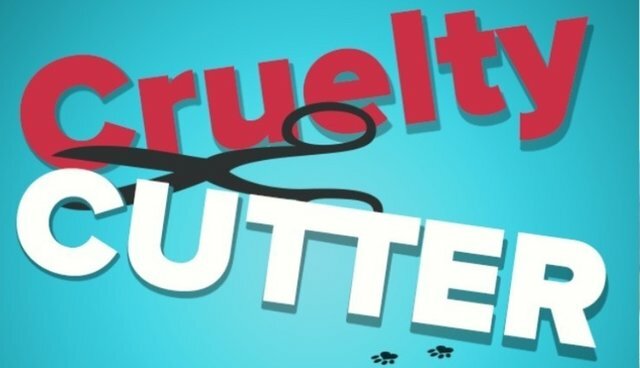 To date, Cruelty Cutter is the only smartphone app on the market that allows shoppers to scan the barcode of any product to get an instant determination as to whether the company does or does not test on animals. The app also allows users to share either their protest or praise for the brand on social media and accrue "doggie-dollars" for each action that can be redeemed for coupon codes of cruelty-free companies. Prior to this announcement the laboratory animal rescue charity had sold the smartphone app for a small fee of $2.99. Beagle Freedom Project was determined to make the app free after putting a dent in the production costs in order to help the public make conscientious decisions when choosing which companies to support. According to Kevin Chase, Vice President of Beagle Freedom Project, "it's never been easier or more important to be cruelty-free, and now with today's announcement it's never been cheaper! With countries across the world finally criminalizing animal testing for cosmetics and household goods this app allows the U.S. public to vote with their dollars!" The non-profit is eager to increase downloads as the data tracked on the backend provides a detailed look at the loss of market share by boycotted companies. Beagle Freedom Project intends to present this evidence to shareholders at targeted Annual General Meetings. Kevin Chase continues, "If certain U.S. companies will not listen to the ethical arguments or the scientific arguments, perhaps they will instead listen to the financial loss arguments for choosing to continue animal experimentation." Cruelty Cutter can be downloaded here: iTunes Store and on Google Play.